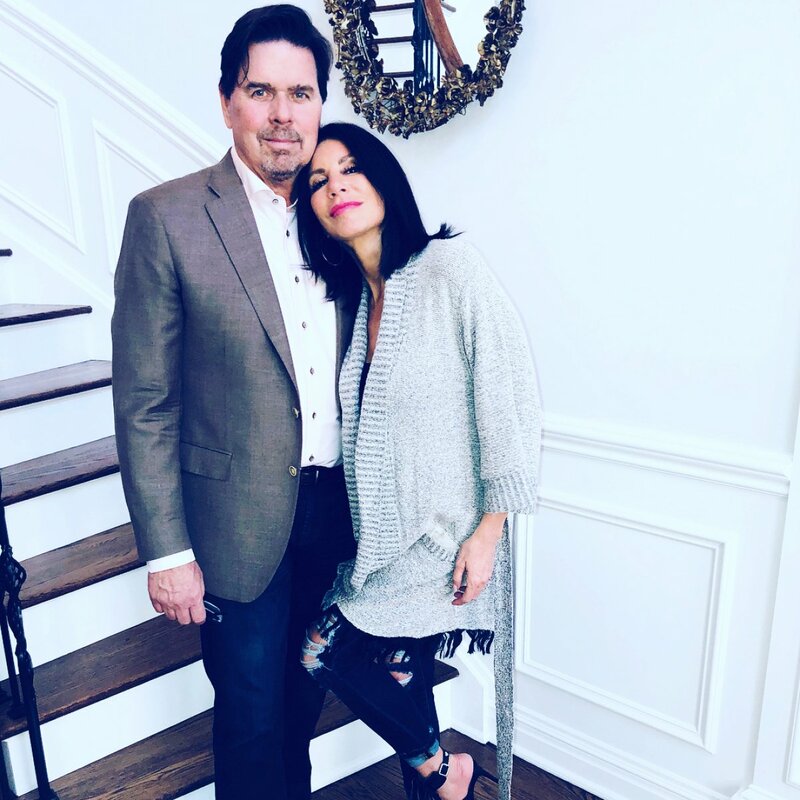 The Real Housewives of New Jersey star Danielle Staub is now a wife. Danielle married her fiance Marty Caffrey during a sunset beach ceremony on the Bahamian island of Bimini on Saturday, Us Weekly reported. Danielle's former The Real Housewives co-star Teresa Giudice reportedly served as matron of honor, while Melissa Gorga and Margaret Josephs were bridesmaids in the wedding. The 55-year-old reality TV star donned a beautiful gown by Pnina Tornai for her big day. Hours before walking down the aisle, Danielle admitted to Us that she was a "little nervous" about her nuptials. "All my family, my friends, everyone's checking in with me, and I'm like, 'Guys, I haven't showered, I still haven't showered, and I'm getting married today,'" she said with a laugh. Danielle gushed about how she was "excited to be a wife." "It's different when you're a girlfriend, and then it's different when you're a fiancee, the stages are all different. When it gets real, and we did our rehearsal last night, and we did our fake I do's, it's like, oh my God, we're almost married," she said. When Danielle and Marty had their rehearsal on the beach, she recalled to the magazine, "I felt them looking at me like I was a wife. And to me, and my daughters, looking at him like he is my husband. And I think it definitely made it super profound for me." Danielle left The Real Housewives of New Jersey in 2010 after two seasons; however, she returned for the Bravo series' eighth edition. Danielle will also appear on The Real Housewives for Season 9, although she will reportedly have a "friend of the Housewives" capacity. A source previously told Us that Danielle's wedding would be filmed for the show. The couple announced their engagement in May 2017 after dating for one year. Danielle and Marty's proposal then aired during a special January episode of The Real Housewives of New Jersey entitled Secrets Revealed. Despite the fact Danielle has been engaged multiple times -- as fans recall, Teresa accused Danielle of being engaged 19 times on Season 1 of The Real Housewives of New Jersey -- she has only been a bride twice. Danielle's first marriage to Kevin Maher lasted only for one year, from 1986 to 1987. She later married businessman Thomas Staub and the pair welcomed daughters Christine and Jillian together. Danielle and Thomas split in 2007.